The idea of congregations coming together to gain strength, support and resources from one another is not a new concept. 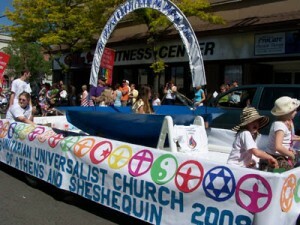 Witness the experience of the Sheshequin congregation and its congregational neighbors. 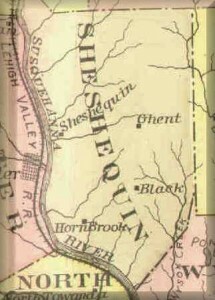 Founded in 1808, the “Old Sheshequin Church”, located in Northeastern Pennsylvania, just south of the New York border, was an early pioneer of Universalism in this rural and conservative region, said by some historians to be the “mother church” to six other Universalist congregations it helped to plant in the area. Today, the Unitarian Universalist Church of Athens and Sheshequin, located in Athens, PA, stands as a proud religious community “dedicated to service, spiritual growth, and ethical living.” It is also a testament to the power of congregational collaboration. Historical information provided by Rev. Darcey Laine. Mark Bernstein is a member of the Multi-Site Midwife Team and believes that in an earlier life, he attended several meetings of the North Branch Association. I love this story! Thanks for sharing!